The purpose of this consumer safety specification is to establish internationally recognized safety requirements for toys. Although this specification will not eliminate the need for the exercise of parental responsibility in selecting toys appropriate to the age of a child, or parental supervision in situations in which children of various ages many have access to the same toys, its application will minimize accidents in the normal, intended use and reasonably foreseeable abuse of the toys covered by the specification. 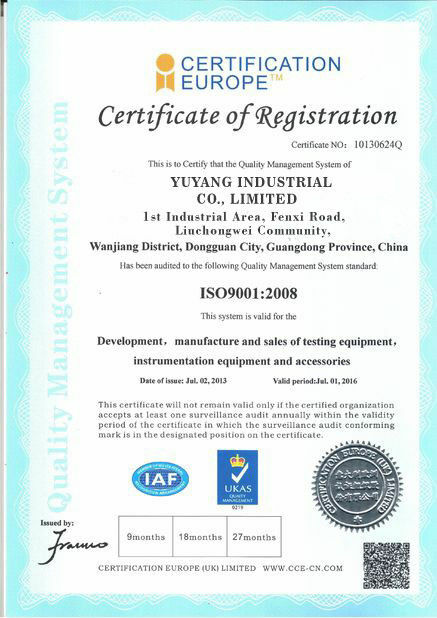 Because of this, our company has produced one series of testing products to verify if the toys meet the safety standards. An accessible edge that presents an unreasonable risk of injury during normal use or reasonably foreseeable abuse. Edges on toys intended for children under the age of eight years are potentially hazardous if they fail the sharp edge test. 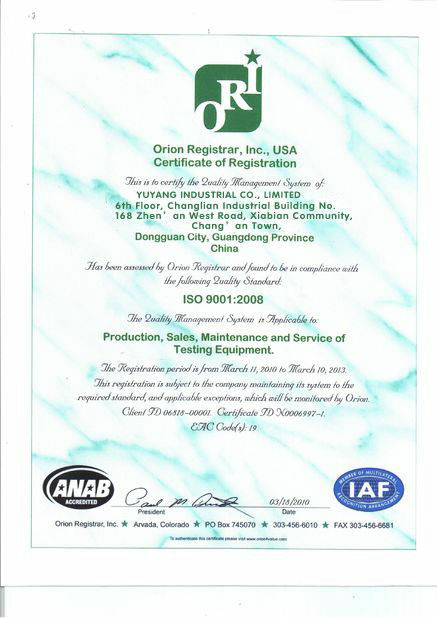 Please refer also to the general assembly drawing to assist with the operation of the instrument. 1.2.1 The instrument is powered by an internal rechargeable battery pack. When the battery pack can no longer the power necessary to rotate the mandrel, under load, once at a constant tangential velocity the top right hand LED will illuminate when a test button or foot switch is depressed and the instrument will not function untill it is recharged. 1.2.2 To recharge the battery pack, plug the charging unit into a suitable 110V single phase electrical supply point and the jack plug into the male socket at the rear of the instrument case above the switch connection socket. 1.2.3 The instrument can be used in three basic modes. To operate in this model, fix the base plate supplied firmly to the front of a suitable work top. Secure the instrument to the base plate with the two spring catched. 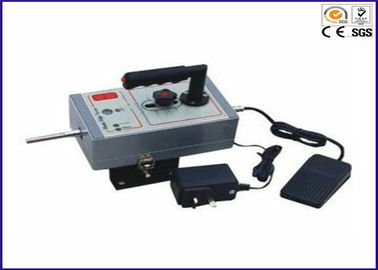 For bencj ,ounted use it is most convenient to operate the unit with the foot switch. Connect the foot switch to the instrument by plugging it into the socket at the rear of the instrument case. Toys can be brought to the unit and applied to it by manipulating the toy with both hands. For portable two handed use, remove the instrument from the base plate. 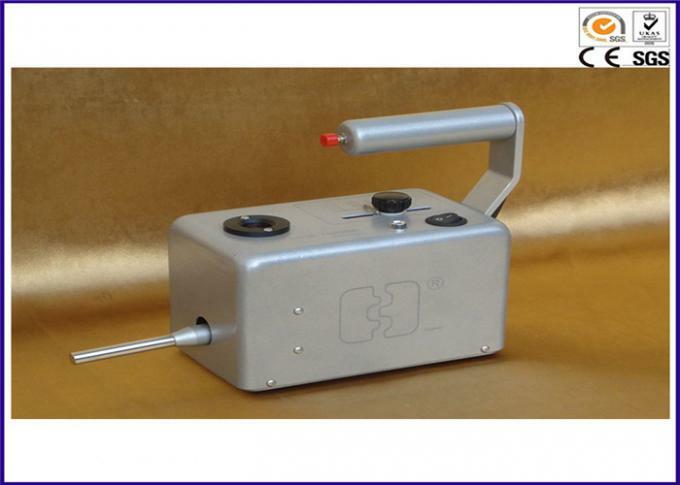 Holding the instrument case in both hands, at t he front, the mandrel can be applied to a toy and operated by means of the test button on the front right hand side. The instrument is held by the pistol grip in one hand, the mandrel is applied to the toy and operated using button insert into the end of the pistol grip handle. PTFE simulates children’s skin, which can represent a child to access the sharp edge. The tape shall be pressure-sensitive polytetrafluoroethylene (PTFE) high temperature electrical insulation tape.